“Create a new 3D view, then go to instance properties for the view and set the discipline to Coordination”. “Next go to Visibility/Graphics for the view; then under Revit Links, set the Display setting to “By Linked View”. I thought I’d share this trick with you. This approach is particularly useful if you are trying to create a complex surface. The idea is to create a series of vertical lines, in the z axis in AutoCAD, spaced evenly with varying lengths. Link the resulting DWG into Revit and then using the new massing tools in Revit 2010, build a surface using points and splines attached to vertical z axis lines on the linked DWG. HOK RAC2010 doors are being manufactured with nested frames, and nested door panels. In this short video the steps needed to make a door type "F" are described. • You DON’T have to adjust the layout of your grids for every view. • You CAN propagate the same layout from another sheet. • It’s easy, you just use “Propagate Extents”. CAUTION: The GRID is put into the model as a 3D Datum. A change to a 3D Datum in one view will affect other views that it extends to. Grids remain 3D in a view until it has been PROPAGATED or until you manually select 2D for the grid. 1. The Propagate Extents tool is disabled if the view is cropped. So un-crop the view you are propagating FROM and the view(s) you are propagating TO. 4. The Propagate Datum Extents window will open. It shows views you can propagate the grid layout to (if a view is cropped, it will now show up). Select the view(s) and click the OK button. 5. Voila! The checked views will have the same grid layout. 6. PIN YOUR GRID SO IT CANNOT ACCIDENTLY BE CHANGED! "I found the easiest way to change Grid or levels from '3D' to '2D', especially when you have a lot of grids or levels is: use crop region, any grids and levels out of the crop region will automatically become '2D'. After adjusting and apply propagating, you can always turn off the crop region. I found this way is much faster for high-rise building. 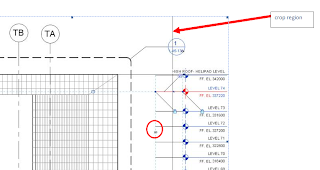 ( I have 75 stories)"
Points are a great feature in Revit 2010. The following video is another extract from my HOK Revit 2010 massing class which explains the principles of points and how hosted points can be used to control geometric forms. Does anyone have experience with Revit and MEP coordination....The issue is the same for more disciplines, but the lighting layout is a good example: we want to have ownership of the location, while the electrical engineer will be responsible for types, connections, etc. Option 1: All fixtures will be in the architectural model, and the electrical engineer would connect to the fixtures through a linked file. Problem is that this is not possible… yet. Apparently the next version of Revit might. Secondly, if the link might be (temporarily) removed, what would this do to the connections in the electrical file? Option 2a: All fixtures live in the electrical file, and we would dimension linked elements. This doesn’t work that well, assuming at some point the link might have to be removed, and all dimensions will be lost. Additionally, the fixture families might be too detailed for our use. Option 2b: All fixtures live in the electrical file, and we would copy/ monitor all elements. I believe (after a quick test) that it is not possible to copy/ monitor anything but grids, levels, columns, walls, floors and openings. Option 3: We would have a separate set of “dimension grids” that will allow us to show the desired dimension, but we have to move these elements manually as the fixtures are moved. Revit Lighting Fixtures - It is suggested that your coordinate the layout of all light fixtures through your consultant and that the fixtures live exclusively in the MEP model. Most architects would cringe at the thought of this, but if coordinated with enough diligence is the better option. Keep in mind that in order for the engineers to accurately schedule and circuit the fixtures, they will have to exist in their design model and be controlled by them (manufacturer, wattages, bulbs, model numbers, etc.). It is common that light fixtures will require locale modifications in order to accommodate egress foot candle minimums and to stay under the IECC wattage requirements so it is best to give your engineer the right to make these types of adjustments so long as they keep you informed as to where and why they have to shift any light fixtures. Dimensioning - I suggest you save dimensioning fixtures to the end or that you have your engineer provide basic dimensions under your guidance. In the old 2D mindset an engineer would never consider this, but given the new technologies where the building model and its dimensions are far more realistic and accurate in a Revit environment, you may find that your engineer may be willing to do this. Copy Monitor Limitations - You CANNOT copy monitor light fixtures, nor can they copy monitor your plumbing fixtures. Detail of Fixtures - In terms of the light fixtures being too detailed when provided from an engineer, I think you will find that engineers tend to avoid over detailing their graphics and that you will not have that issue. If you are concerned as to their graphical representation detail, discuss it with them and I’m sure you can work out a compromise. Further HOK/ Industry / Revit MEP users comments and suggestions welcome! Apart from the Ribbon interface, the major focus for the 2010 release of Revit Architecture are the new conceptual massing tools. The following video explains how to create a parametric freeform surface utilising the new conceptual massing tools and the new conceptual mass design environment. This is based on a short extract from a class which I ran for HOK staff. Hopefully, you will find it useful. Lee Miller says....Ever wonder how to color fields in Revit Schedules? In the Element Properties of the Schedule, click on Formatting. In the Formatting Tab, ALT + N… "The super sneaky shortcut"
This will work in both Revit 2009 and 2010. Below you will see a render of a form which utilises soft shadow, giving the image a slightly different look compared with the default out of the box render settings. Whether you like this look is a matter of opinion, but it is certainly provides something a bit different. You achieve this result by setting the Revit Mental Ray render engine to an early morning setting of say 2am and then adjusting the exposure control from 14 to between 2 to 2.5. You can always tweak it further using the Adjust exposure once you completed the render ( more on that later). Setup your scene in the normal manner. Then open up the render dialogue window; make sure your Lighting scheme is set to "Exterior:Sun only". Next, edit your Sun settings to something like 2am in the morning. Under image, click Adjust Exposure, this will open up the Exposure Control dialogue. Set the Exposure Value your from 14 to around 2 to 2.5. The image above had an exposure setting of 2.2. Also, make sure the Background Style equals Sky: No Clouds. What this actually does, is turns off the sun (as its night time ), but keeps the sky image map and the low level ambient lighting. As noted by Zach, to achieve the best results, it's worth setting your render quality to "best" to get the best shadow depth you can. Setting your render to "best" will obviously result in long render times, so it's probably worth doing a few low resolution renders in the first instance to be assured that the settings will work for you. This a useful tip from Lee Miller, HOK Firmwide Revit CAD manager. The question is, "How do I merge two workset projects together?" Here's what to to; the key to this process, is preparation. First make backups of all your work. Choose the smaller, least complex of the two models, and purge unused. Get the model as lean as possible. In the model which you will bind your project into, create a new temporary workset. This will be the workset that the bound elements will be dump into. Create some new worksets, i.e. core etc. These are worksets you will use to transition objects into. Select the linked project and choose bind from the options bar. A message will the appear warning you about binding a linked file. Just choose the remove link button. It may take some time for Revit to complete this exercise! Depending on the size of your project. Once the link has been bound, this bound link will be a group. You can then choose to ungroup and the start to transition objects to previously created New worksets. Finally, recreate views, import sheets, etc as required. This question comes up on a fairly regular basis, how can I compare two Revit drawings to see what has changed between revisions? Also, how can I compare two different versions of the Revit model to see what has changed? In this post we will look at three different tools that can help facilitate this.I am sure their are other tools available to enable us to do this, but I have tried to highlight the most common ones which many of us have installed on our laptops or workstations. The Model Compare tool is part of the Extensions for Revit utilities which can be downloaded and installed from the Autodesk subscription site. Originally only available for Revit Structure users, Autodesk finally saw sense last year and released it for all of the disciplines. It's very easy to use; you start by opening the two models you want to compare, then choose model compare from the extensions pulldown menu. The application will the start and will look for differences between the two models. Once the comparison has been completed, you will be presented with a dialogue box which lists the two models and highlights general information relating to the two projects. You can then choose to review the difference in elements by selecting "elements" in the menu on the far left hand side of the dialogue box. You can then use the "Comparison Type" check boxes to change how the elements in the models are compared. mapped equally to one another "="
different to one another "<>"
no longer exist in the project "<"
The report tool allows you to generate a report of the compared models. This can be saved as an MHT or html file or you can export to Word or Excel as well as being able to print the report directly from the dialogue box. Below you will find a typical report exported to Excel. You can also compare drawing output from Revit using Autodesk Design Review 2009. 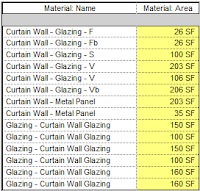 However, you need to publish your drawings in DWF format from Revit, to start with. Then open one of the DWF's in Autodesk Design Review 2009 and choose compare from the tools pulldown menu. You will be presented with the following dialogue box. You can then choose the target DWF you want to compare, click the browse icon to locate the DWF, then choose "ok". Design Review will in essence compare the two different DWF outputs and highlighting what has changed by adding additional markup to the DWF. This additional markup can be saved in the DWF, but you also have the ability to load this back into Revit if required. This is achieved by choosing import/link in Revit then selecting the DWF you added to the markup to. The markup will then appear as a markup layer in Revit. OK, DWF is fine, but what if you published all you drawings from Revit using PDF? In Acrobat Professional we can do something similar to the Compare functionality found in Design Review. Start Acrobat Pro and choose a suitable PDF created from Revit, then from the advanced pulldown menu choose "Compare Documents". Again this will open a dialogue box which will allow you to browse to the PDF you want to compare against. There are different types of comparisons that you can use and you also have the ability to create two different report types based on the comparisons found. There you have it, three different ways to compare differences between models and drawings. I guess that some of these may be obvious to the Revit user, nevertheless it fails to amaze me that many users and document reviewers are still not using digital tools to compare differences and changes, instead opting for the old school approach of printing the drawing out to paper and using a magic marker to highlight changes!